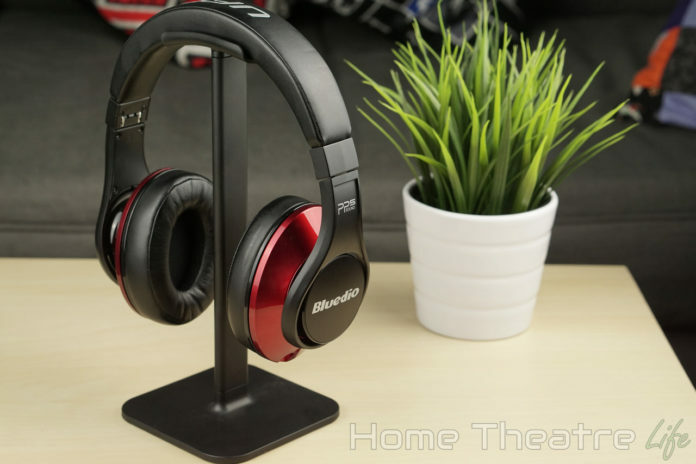 The Bluedio UFO are a set of overhead Bluetooth headphones that feature 4 individual drivers in each ear, Bluetooth 4.1, dual phone support and 3.5mm connectivity. Are they any good? Read my Bluedio UFO review to find out. I want to say thanks to my friends at Bluedio for providing a sample to review. 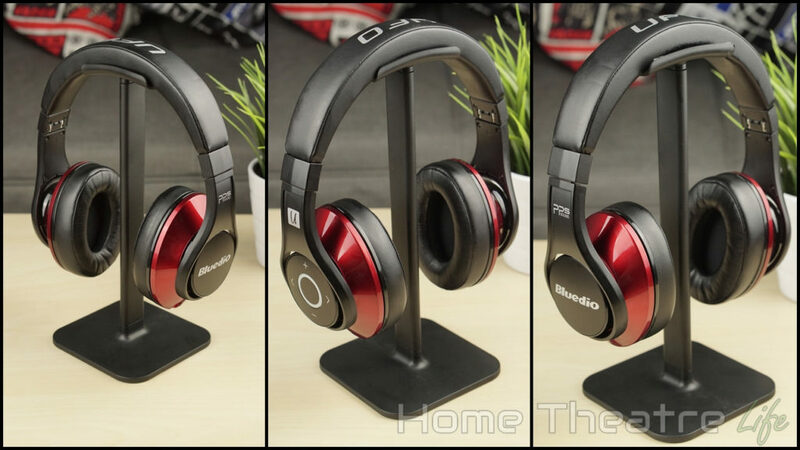 You can pick up the Bluedio UFO Bluetooth headphones from Amazon, AliExpress, NewEgg and eBay. Click here to get 15% off! Deal valid until the 15th of July, 2016. The carrying case that the Bluedio UFO ships with is excellent. It’s a hard case that protects your headphones whilst storing your cables. It’s a really nice addition. 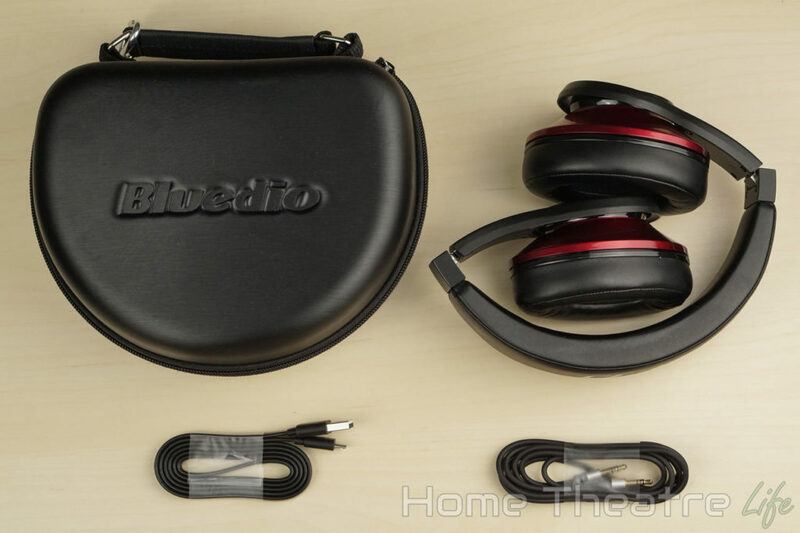 The Bluedio UFO’s design is pretty typical, featuring large oval over-the-ear cups and a padded headband. The headphones themselves fold up allowing for easy transport and storage. Each earcup is covered in a soft leather-like material that’s really comfortable, even after several hours of listening. I didn’t feel it got hot though it is winter at the moment. I found the cups big enough to cover my ears completely, despite being smaller than the Bluedio T3 Turbines. Speaking of comfort, these are probably the most comfortable headphones I’ve ever worn. 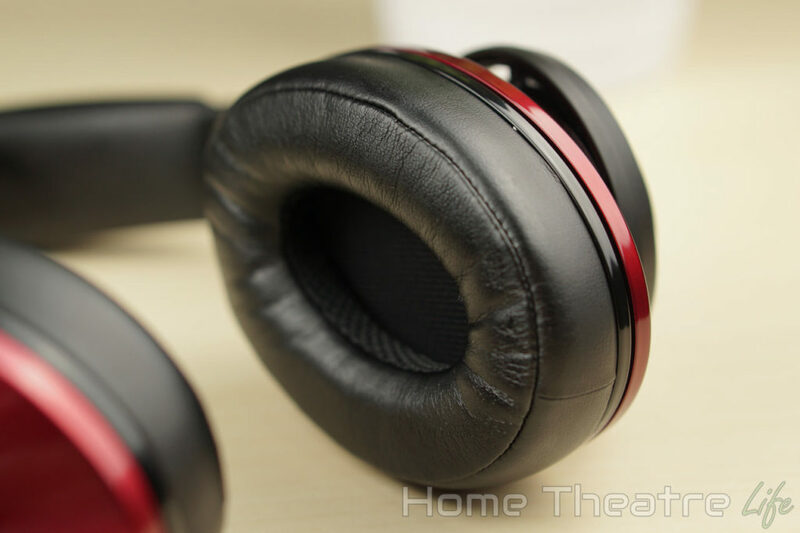 The Al-Ti alloy that the headphones are made of keep the unit light yet strong. The clamping force of the headphones is pretty gentle too. It does a decent (though not perfect) job of keeping the headphones in place, but expect headbanging to dislodge them. 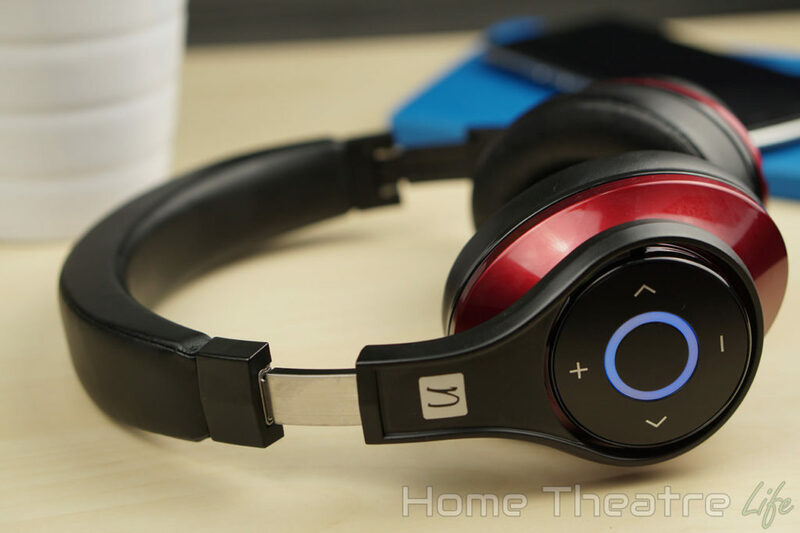 The right earcup houses all the controls, featuring volume controls, skip track buttons and what Bluedio calls the Multi-function Button, a context sensitive button that’s used for everything from turning the headphones on to answering calls. There’s also a micro USB port for charging the unit’s built-in battery. 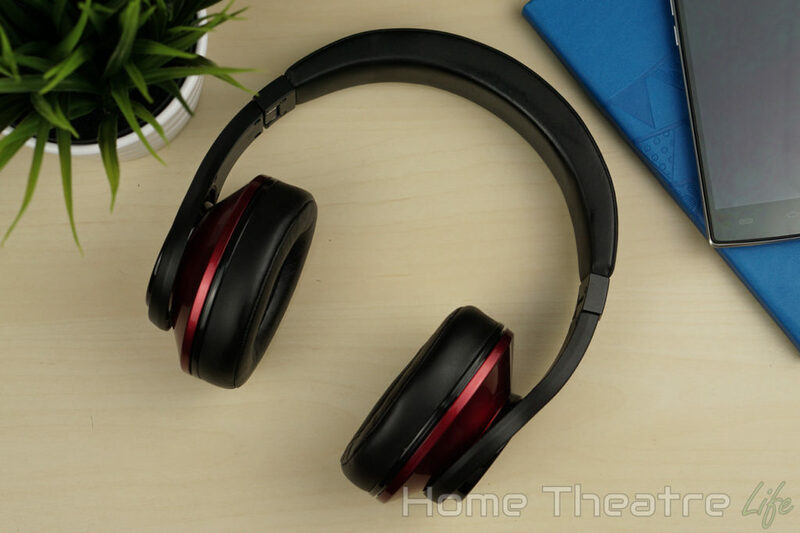 The left earcup has a 3.5mm audio input/output that allows you to bypass the Bluetooth connection and used the head wired if you prefer. Pairing the Bluedio UFO is as easy as holding down the multi function button until the unit says pairing and the LED goes “white” (it’s more pink than anything). Then just select “U” from your device’s Bluetooth menu. There’s spoken audio cues for key functions (i.e. entering pairing mode, when connected, etc) which makes everything really easy. You can even pair the headphones up to a second smartphone. They’re smart enough to automatically cut over to the last device that played audio and switch back when it stops. It’s pretty useful, though hooking it up to two phones got a little annoying as I kept getting two sets of notifications but that’s not the fault of the headphones. There’s also a second or so pause as the headphones switch between devices but the music keeps playing on the first phone so you may miss a second of music. It’s not really a big issue though. 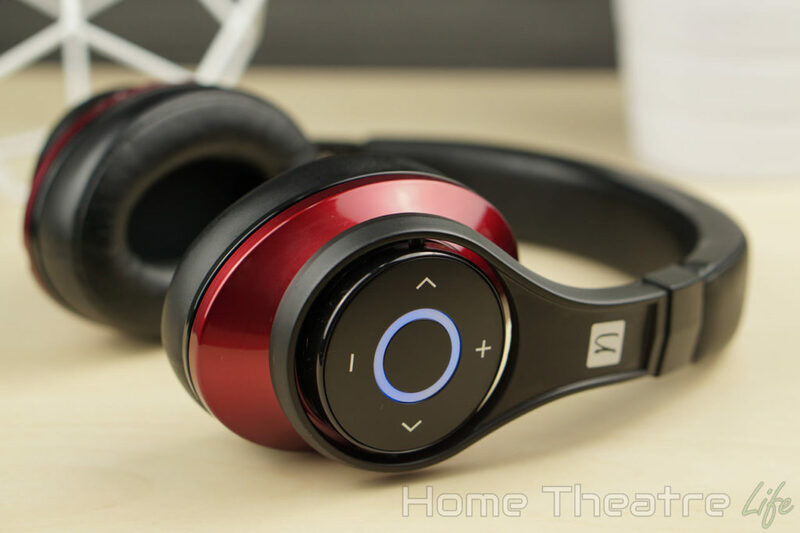 When connected via Bluetooth, you get access to a full suite of music controls, in addition to the headphone’s 3D effect and in-built amplifier. There’s all the typical playback controls here, allowing you to skip tracks or play/pause the current track. You can also adjust the volume, place calls and toggle the 3D effect. Everything is accessed via pressing, double-clicking or holding the buttons down. Once you learn the commands, it’s incredibly easy to use. Unfortunately, the buttons themselves are completely flat, making it hard to find the buttons at first though this gets easier after you’ve got used to the headphones. For those who don’t have a device that sorts Bluetooth or have a flat battery (shame on you), you can also use the Bluedio UFO via the included 3.5mm cable. There’s no discernible difference in audio quality when using it wired, though you do lose access to the playback controls, built-in amplifier and 3D effect. It’s a trade off but I love the flexibility. Sound isolation is great. Putting on the headphones left just the music, drowning out the world around me. However, there was a little bit of sound leakage. The Bluetooth connection seems to be rock solid. I didn’t experience any interference or dropouts during my testing, when sitting or moving around. Battery life was great. I used the headset for around a week of regular use without needing a recharge. Bluedio claim the battery should be good for around 25 hours which feels about right. So arguably the most important part of headphones is how they sound. 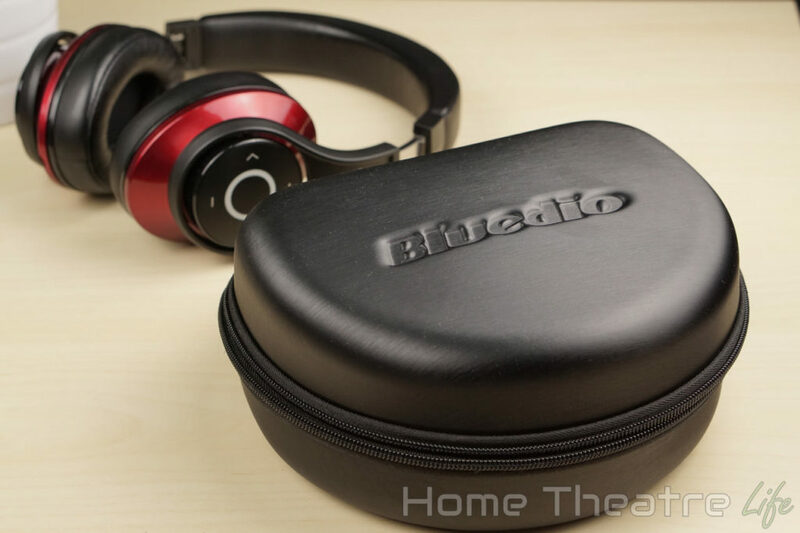 Thankfully, the Bluedio UFOs sound really good, with the company opting for a more balanced sound signature with the Bluedio UFO compared to the Bluedio T3 Turbine that I reviewed previously. There’s good clarity in both the mids and highs, though bass is definitely over-represented. However, this does does make them a fun set of cans to listen to and I feel like they’ll suit a majority of users. You can tweak the sound via equalisers to your tastes though if your music player supports it. Those who are prefer a flatter sound should probably check out something like the popular AKG 701s. Music sounds great. 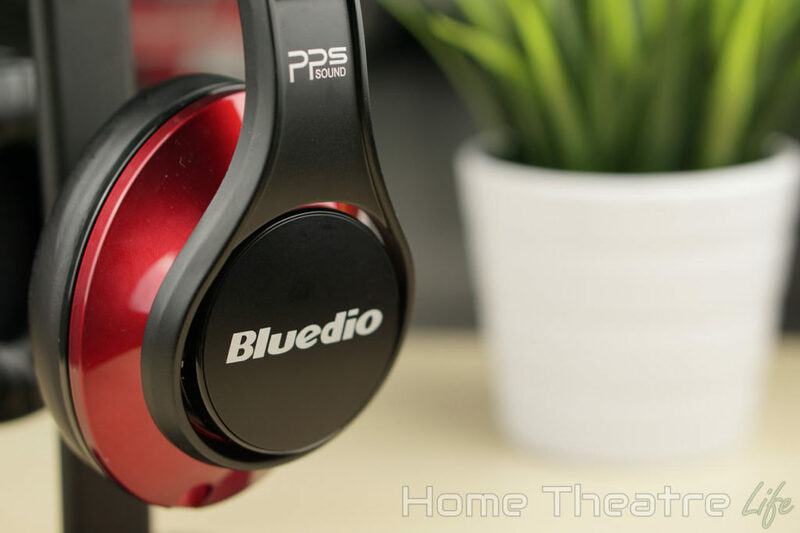 Quieter acoustic tracks reveal individual instruments, presumably due to Bluedio’s PPS8 8-driver technology that packs 4 separate drivers per ear. Rap and electronic tracks nicely balance vocals with punchy bass, with tracks like Skrillex’s Bangarang sounding fantastic. Heavy metal tracks, with their walls of bass, sounded good though the bass did muddy things at times. 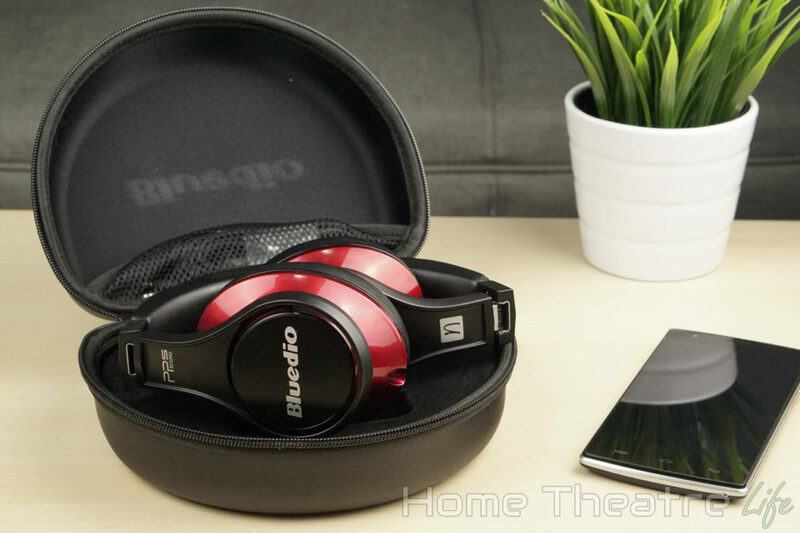 The Bluedio UFO really shines when watching movies and playing games though, with the improved bass response enhancing the immersion. Watching dramatic movies with gunshots and explosions sound incredible whilst speech remains clear. This is doubly true when using the 3D effect which really does enhance the experience by adding to the sound stage. I wasn’t a fan of the 3D effect for audio as it seemed to muddy the audio but some people seem to swear by it so your mileage may vary. The in-built microphone for hands-free calling is handy but predictably disappointing. It works but people on the other end of the call reported that I sounded quiet. It’s really a position problem, with the microphone sitting too far away from your mouth. 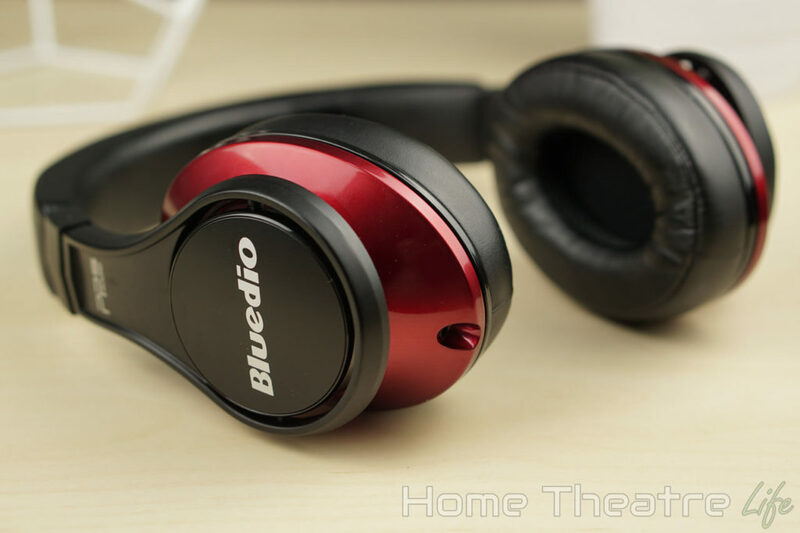 The Bluedio UFO are a solid set of headphones and one of the most comfortable I’ve ever worn. Whilst they sound great and will probably suit most people, they’re still towards the fun side which won’t suit those who prefer a flatter sound signiture. Where to Buy The Bluedio UFO? A solid set of Bluetooth headphones, whose flaws are overcome by the great sound and an impressive feature list.